Common Core Standards met in this lesson: RI.9-10.1, RI.9-10.2, W.9-10.2 (see details below). Explain how historians decided that Yarrow Mamout's story was worth exploring. Identify the different kinds of sources historians relied upon in exploring Mamout's life. Distinguish between factual information and the inferences that historians draw from such information. Write a short narrative about Yarrow Mamout's life. 1. What Makes a Good Topic for Inquiry? Journalists are known to say that it's not news when a dog bites a man. What is newsworthy is when a man bites a dog. That's because dog bites are not unusual, while its almost unheard of for a human being to bite a dog. Think about this criterion in terms of the article, "Yarrow Mamout: Freedman." What was it about Mamout that was unexpected enough to intrigue James Johnston to find out more about him? Start a list by writing these compelling factors at the top of a piece of paper. Then add to the list everything about Mamout that surprises you. Here's one to add to your list: Yarrow Mamout gained freedom from slavery in 1796, more than half a century before slavery was outlawed in the United States! Look over the list. Imagine that you , like writer Ramin Vellotti, want to write an article about Yarrow Mamout for a magazine like AramcoWorld. Write a letter to "pitch" your idea to the editors of the magazine. Keep your letter brief—it should fit onto one page—and explain why Mamout's life is interesting enough to warrant an article. 2. What Do You Know and How Did You Learn It? "Yarrow Mamout: Freedman" contains a great deal of information about its subject. To help you identify the facts and determine where the information comes from, make a table like the one below, or print a copy of it to work with. For this part of the activity, you will be filling in the left and center columns. (You'll get to the final column later). Reread the article, pausing as you come across facts in the article. Write each fact in the left-hand column of the table. Then ask yourself where a historian might have found that fact. 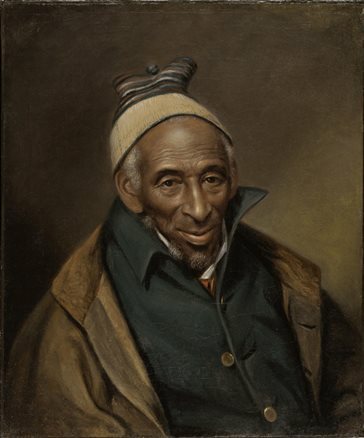 For example, take this excerpt from the third paragraph of the article: "Yarrow Mamout, a Muslim African who endured 44 years of slavery in Maryland and Virgina by the Beall family of Maryland before being manumitted in 1796 and guying a house in Georgetown in 1800." Here are the facts in the excerpt: Mahmout was Muslim. He was African. He was enslaved for 44 years by the Beall family. He gained his freedom in 1796. He bought land in Georgetown in 1800. List these facts separately in the table. What kinds of sources would you expect to provide such information? Ship manifests would tell where Mamout came from, while census data would show that he was enslaved by the Bealls. Manumission papers would show when he gained his freedom, and land deeds would show where he bought land. Write these int he middle column. Proceed in this manner, going through the entire article listing factual information and sources that could provide such insight. 3. What can you infer from what you know? Historians want to do more than simply identify factual information; they want to make sense of it. To do so they often make inferences based on the factual data uncovered. An inference is a conclusion based on evidence or reasoning. To identify the inferencs in the article, use a highlighter to mark phrases like "seems to," "may have," "would have" or phrases that include "likely" or "probably." Upon highlighting them, return to your tables and fill in the "inferences" column. Which factual evidence led to which inference(s)? How do you think the author and the historian she interviewed arrived at those particular inferences? Do they seem reasonable to you? Can you imagine different inferences that might have been drawn? 4. How Do You Tell a Story About a Life? Now that you've read and analyzed the story of Yarrow Mamout's life, its time to write a short narrative about it. Write a one-paragraph summary of Mamout's life—the kind of summary you might find in a database of Muslim American history or African American history. Go back to your "pitch" letter, in which you tried to persuade an editor to publish your article about Yarrow Mamout. What can you add to your your letter to strengthen it even more? W.9-10.2 Write informative/explanatory texts to examine and convey complex ideas, concepts and information clearly and accurately through the effective selection, organization and analysis of content.